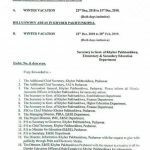 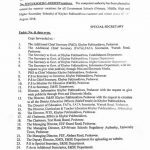 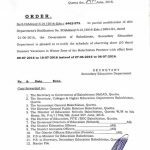 Government of Khyber Pakhtunkhwa, Elementary & Secondary Education Department has issued Notification No. 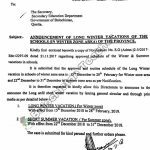 SO(G)/E&SED/1-48/2016/Winter Vacations dated 16-12-2016 in connection with Winter Vacation Notification. 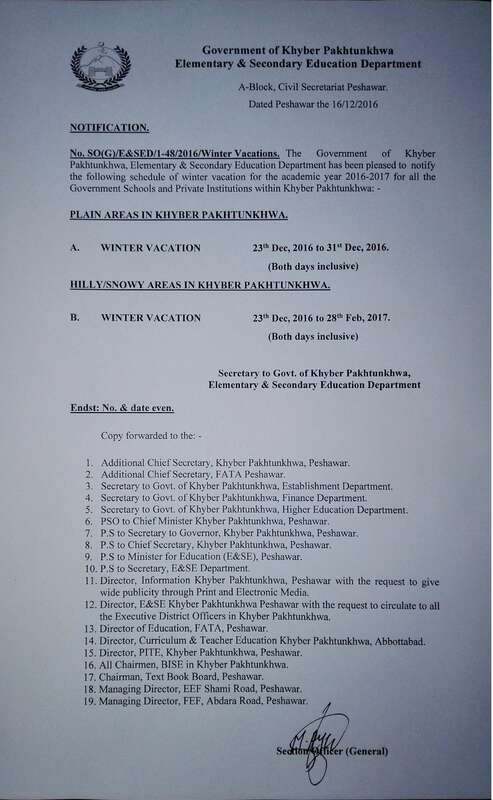 Special thanks to Mr. Imdad Hussain for sending the copy of the Winter Vacation Notification 2016 by Education Department KPK. 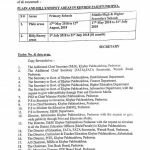 These are not enough holidays . 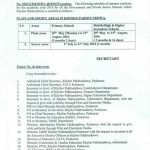 Govt should increase it.